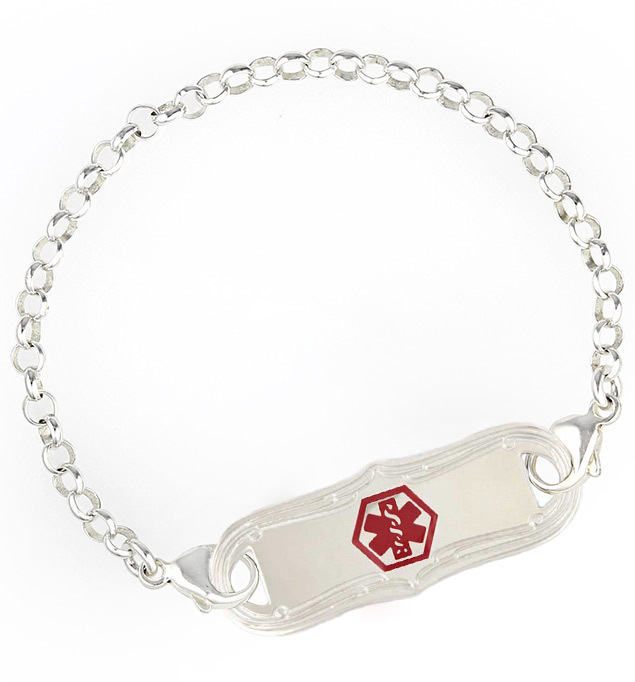 This medical ID bracelet is a simple sterling silver rolo chain. It's a beautiful chain that allows you to create a beautiful custom medical ID. Select one of our custom-engraveable medical ID tags to complete the look. This bracelet is suitable for everyday use including hand washing and bathing.